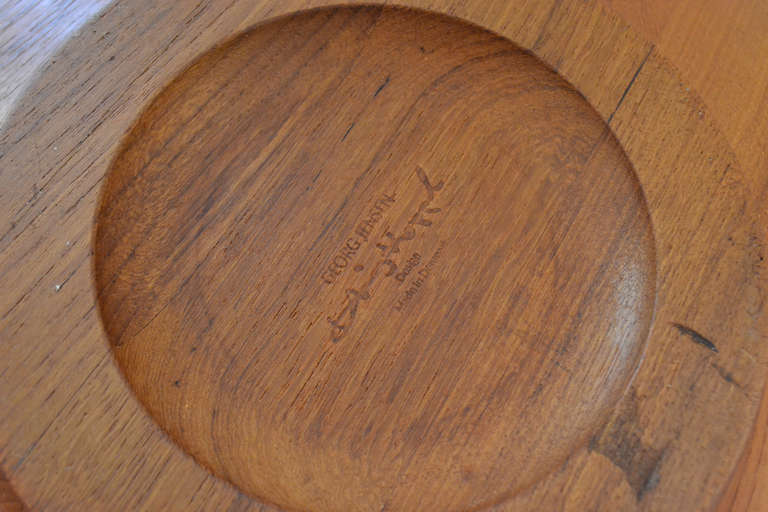 A wonderfully carved teak bowl designed by Henning Koppel for George Jensen. The bowl is shallow with a double rim, its high carved foot elevates the bowl from the table surface giving it weightless feel. Signed underside.